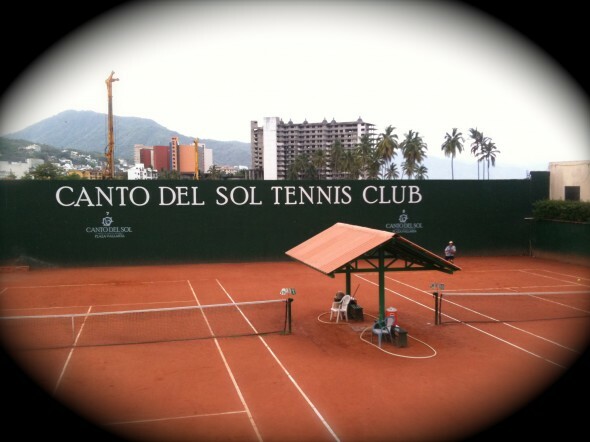 The Canto Del Sol Tennis Club in Puerto Vallarta, MX (recommended by David) where I played and practiced on clay for the first time in my life back in 2010. Tennis is a lot like life. Sometimes you can be on a great run…winning points, games, and sets, and then something happens that can throw you off your game and into a tailspin. It’s not so much the last point but rather the next point that is the most important. Yet as long as you maximize your strengths, focus, and follow-through, then good things tend to happen. In 2010, I spent most of the year working with my tennis buddy (coworker and friend), David. David’s been playing tennis for probably more years than I’ve been living. He’s traveled the world playing tennis…not professionally but as an avid fan and natural athelete. We’d been working together for a couple of years when one day we decided to meet on the tennis courts after work. That day, I had almost no backhand shot to speak of and so David took it upon himself to become my coach for the year. Once (sometimes twice) a week we hit the courts. After the first couple of weeks of working on my backhand, I became frustrated. I was thinking too much. Like David, I’ve been athletic all my life…I even played tennis for three years in high school. I even won 3rd place doubles in the conference championships in my last year. Yet, I hadn’t hit a consistent backhand in years and sometimes I doubted if I ever would. But David wouldn’t let up. He wasn’t pushy yet he was consistent and firm. He knew how to reach me and get me out of the slumps. While working on the backhand, I reflected on a similar life experience. Back in 2008, I spent a month with my dad working on my pilot’s license. 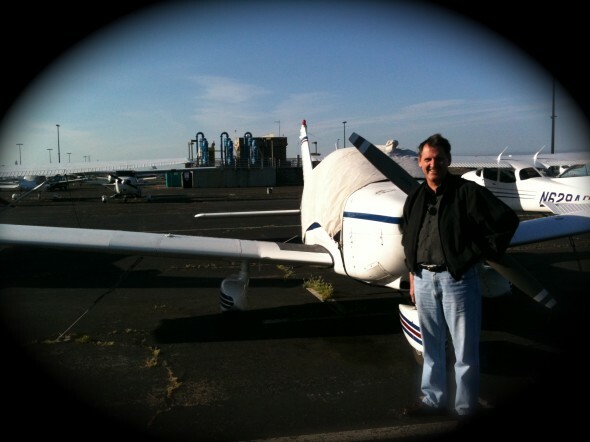 In my first five days of flying, we worked on my approaches and landings. On the fifth day, I had reached my limit. I was thinking too much and not feeling the aircraft or the approaches. In my book titled, “The Two Musketeers,” I explained my struggles at length and how I overcame them, by simply understanding myself, my strengths, and following-through with the process. Here a few excerpts from my book that explain that journey. 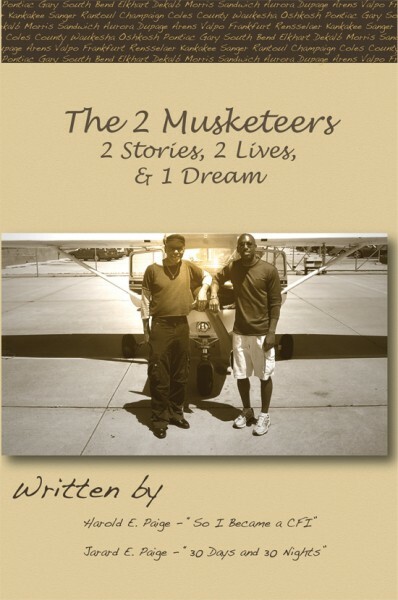 My book, The Two Musketeers, self-published in June 2009. By the start of the US Open in the late summer of 2010, I had developed a consistent backhand, so much so that I love hitting the shot to this day. While I’ll never be a Roger Federer, I was able to develop a skill and a feel that will last with me for a lifetime. David gave me this gift. He stuck with me and found way to reach me. Like my dad, he offered simple pointers and found out how to connect my strength to my weakness, so much that I forgot about my weakness and focused on my strength. I can still remember the evening at the Stanford West Campus courts when my backhand became so comfortable that I wasn’t even thinking about it. I began to prefer that shot over my forehand. David after his first Bay Tour flight. I was honored, not only for his compliments on the landing, but also for being able to “return the serve.” It’s my gift to him for providing me with such a “smooth” backhand that will last me a lifetime. Thanks, David! © 2019 Jarard.com – The Pilot All Rights Reserved. A New Age Renassiance Man.